Jake Woodford does not have any MLB stats for the season. Draft: 2015, St. Louis Cardinals, CBAth rd. Signed his college letter of intent to the University of Florida... Played high school baseball at Plant High School where he was 7-0 with an 0.67 ERA and 57 strikeouts in 52 innings his senior season... Was a Perfect Game USA 3rd Team pre-season AllAmerican and 1st Team Florida All-Region selection in 2015... Resides in Tampa, Florida. Led the Florida State League in ERA (3.10), tossing a career-high 119.0 innings... Appeared in 23 games, starting 21. His final two appearances of the season came in relief in piggy-back starts of Kevin Siegrist, who was on rehab in Palm Beach... Matched his career-high pitching 8.0 innings vs. Bradenton (8/18), allowing one run in a win... Made one start in the Florida State League playoffs and hurled 6.0 innings allowing one run on four hits in a seriesopening win at Fort Myers (9/5). February 11, 2019 St. Louis Cardinals invited non-roster RHP Jake Woodford to spring training. July 20, 2018 RHP Jake Woodford assigned to Memphis Redbirds from Springfield Cardinals. July 12, 2018 RHP Jake Woodford assigned to Springfield Cardinals from Memphis Redbirds. June 24, 2018 RHP Jake Woodford assigned to Memphis Redbirds from Springfield Cardinals. April 4, 2018 RHP Jake Woodford assigned to Springfield Cardinals from Palm Beach Cardinals. February 7, 2018 St. Louis Cardinals invited non-roster RHP Jake Woodford to spring training. July 21, 2017 Palm Beach Cardinals activated RHP Jake Woodford from the 7-day disabled list. July 15, 2017 Palm Beach Cardinals placed RHP Jake Woodford on the 7-day disabled list retroactive to July 14, 2017. April 4, 2017 RHP Jake Woodford assigned to Palm Beach Cardinals. March 1, 2017 RHP Jake Woodford assigned to St. Louis Cardinals. July 7, 2016 Peoria Chiefs activated RHP Jake Woodford from the 7-day disabled list. June 25, 2016 Peoria Chiefs placed RHP Jake Woodford on the 7-day disabled list retroactive to June 23, 2016. April 2, 2016 RHP Jake Woodford assigned to Peoria Chiefs from GCL Cardinals. June 22, 2015 RHP Jake Woodford assigned to GCL Cardinals. 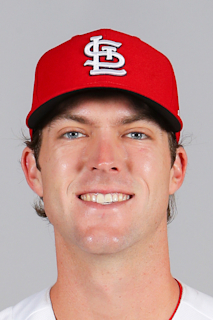 June 15, 2015 St. Louis Cardinals signed RHP Jake Woodford.